For months, I’ve heard the whispers. Off the record. Throughout the echelons of Canadian soccer. And that was: That the hiring of Octavio Zambrano as the national team head coach, technical director and overseer of the country’s youth programs was a mistake. What I have been told is the die was cast on Zambrano’s future (or lack of it in Canada) before Christmas. 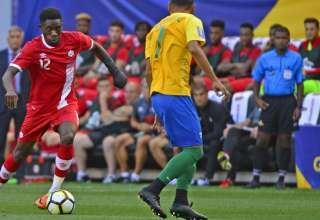 Now, with Monday’s news that Zambrano has “departed” the program (in the words of the Canada Soccer press release) and that John Herdman will move from the women’s program to take over the men’s team, the deck has been cleared before Canada plays any meaningful games in the 2022 qualifying cycle. Zambrano was charged with revamping the youth national teams and, since he took over, there hadn’t been a camp until the U-23 session that’s supposed to begin on Tuesday. Zambrano’s was job-reviewed several times despite having held the job for less than a year. For former CSA president Victor Montagliani, who wanted to have the national-team hire done and dusted before he left the post to focus on his job as the head of CONCACAF, this does tarnish his legacy somewhat. I can say this: In my time covering Canadian soccer, and this goes back to the mid ’90s, I have never had a person generate more chatter within the ranks. There were those who called to insist Zambrano was going to set the program back. Yet, because of the vindictive nature of soccer — that is, speaking out tends to get you blacklisted — a dual narrative had become the norm. There was the public face of the program, which had Zambrano show improved results in the program. But there was an undercurrent of conflict, people wondering why the youth program hadn’t been advanced, others who felt totally ignored and those who wondered who was going to pay for Zambrano’s plans. Zambrano did go on the record in a one-on-one interview with me before the Christmas holidays about a rather ambitious and expensive plan which would have seen him doing an end-around every technical director in the country. Zambrano suggested on social media that this might have contributed to the end of his term. But, he never once called on FC Edmonton to ask about players. He didn’t make contact with the San Francisco Deltas, even though the team was starting four players who had national-team experience. He didn’t communicate with other coaches in the Canadian program. In fact, for a man who claimed he wanted to take over the scouting process in Canada, there was lots of talk about the teams and players he never bothered to see. So, now Herdman makes the move to the men’s program — and Kenneth Heiner-Moller, Herdman’s assistant, will take over the women’s program. Jeff Paulus, who coaches FC Edmonton’s academy program that will be playing in 2018, said he’s looking forward to the change. 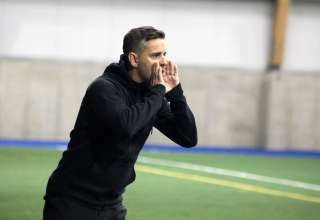 Herdman’s first job will be rebuilding trust with technical directors and coaches in the Canadian ranks. 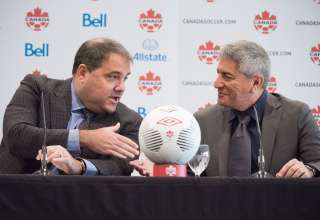 There is no doubt Zambrano ruffled a lot of feathers in the Canadian coaching ranks, and it will take some work to rebuild the trust lost with Zambrano at the helm. Of course, there will be a camp who will believe that Zambrano was swept aside because he wanted to make massive changes to the system, without wanting to play the political games needed to soothe those whose egos would have been bruised along the way. Obviously, left out in this spinning wheel is Marc Dos Santos, the Canadian coach who has led three separate teams to three separate North American Division-2 finals over the last three years. With word that Zambrano was on the hot seat, and Dos Santos not committing to a job, he would have been candidate 1A for the post. Dos Santos was not contacted by Canada Soccer about the job. There are strong rumours linking him to a job on an MLS staff. Herdman wanted the job, the CSA liked him and did not want to lose him, he is great with the mainstream media they all know him he is very marketable, the CSA had a few issues with Zambrano in terms of him wanting to rock the boat a bit much so a change was made, but please but some of the things I’ve heard about players not liking Zambrano, or Zambrano being incompetent please! Another great decision from an organization that can’t figure out how to produce decent calibre players from a youth player registration bigger than the entire population of Iceland, how is Iceland doing at the moment? If what Steve says about Octavio’s comments about replacing the TDs with super scouts is true and was Octavio’s plan (and I have no reason to doubt it) then some very hard questions need to be asked of the CSA. We’ll see if any journalists are willing to risk their access by asking it. The TD coup d’état, really makes more sense than the Herdman story. That is just for window dressing. Personally I liked what OZ did with the program and I think Marc Dos Santos is way more qualified for CMNT coach than Herdman. OZ was supposed to have a press conf or something. When and where? Octavio talked about this on the record with me in the interview that was posted in December. (His plan to use the super scouts). I think this reverts the CMNT to the CSA circus we just got out of. What a joke. The old boys network wins and Canada loses yet again. Seems like you need to understand the term “off the record” Put simply, someone tells you something, but doesn’t want his/her name associated with it because the it could easily lead back to him/her. It’s called protecting your source. Did OZ talk about any new players at the time? If so, will Herdman be able to follow through with these players? Also, Steven, would the expensive end round proposal have required board approval? In other words, was OZ a renegade or simply persuasive of expensive changes? For sure, his plan would have needed approval. And yes, as OZ suggested, he thinks it was a bold plan that put him on the outs. But there’s more to it than the expenses and the “renegade” nature. He was called on the carpet by the CSA several times. Are you privy to any roster ideas for the U-23? So what if he didn’t talk to NASL players? I wouldn’t have talked to them either. Mickey Mouse league. FC Edmonton folded. Get over it. San Francisco folded after winning. This is laughable. It would be, if he wasn’t calling up USL players and unattached players. But, if he does, then the NASL comparison is, in my mind, apples to apples and journalistically valid. A USL player he called up was Kaye, a young guy who looks like he fit a role out there for our team. Not 26+ somethings who’ve previously been tried in the program and aren’t getting us anywhere. Seeing guys like Davies, Edwards, Adekugbe, and other younger guys getting a shot with established top pros like Arfield and Hoillet is better than leaving out no upside older NASL types. I’m really hoping that Bekker and Ouimette get to continue their pro careers in the North American game somewhere, along with Attakora, Tissot, and the Canadians at the on hiatus FC Edmonton, but they shouldn’t be on our national team radar anymore. And I think Herdman will be going relying on the much younger prospects from the MLS clubs as well as Europe and South America, so they won’t be. And, lo and behold, Kaye got himself signed by Bob Bradley (and MDS!) for LAFC in MLS. So maybe OZ can actually spot talent. And judging by reports out of LAFC camp, they seem pretty high on him. Prior to his season ending injury, Kaye was having a great season with LAFC. And in the Nations League matches, has gone with his A list vets (when available) mixed with very young prospects from overseas and MLS. No USL guys (except for some going to the U20s camp), so that’s that. If it was a “worst kept secret” for “months,” then why didn’t you report it in some manner? I’ve actually been working on it for a couple of months. Pages and pages and pages of notes. But without something going on the record, it’s unethical for me to go forward. I did the one-one-one with OZ in December where he talked about creating a new system without the TDs, which was a very bold thing to talk about (I give him credit for that). And that’s probably the biggest reason he got the boot. And maybe something like that is what we need to do. I wonder what JdV thought of his plan. Following up the original Zambrano story, I’m sure you probably contacted him. What did he react to OZ’s plan? But perfectly fine to ask OZ about the whispers and rumours when you interviewed him – you could have tried to get an on the record response. But you didn’t. Not saying anything, then immediately releasing a story saying you (and others) knew for months, is bush league mate. Happens way too frequently with sports journalists. I love what you do, I really do, but the way you put together this story does you no favours. Actually, I did ask him about his plan. And he did say he wanted to make major changes, including his plan to hire the super scouts and to go around the TDs. And, yes, I agree, it happens too frequently with sports journalists. But there’s been a sea change over the last 10-15 years where nobody wants to put their names to anything anymore. 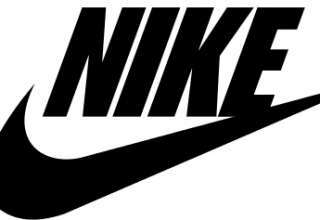 Sports have become so big-money, with so many sponsors, etc. at stake that things that people used to talk about candidly are now off the record… I will say it’s frustrating because, in the end, you understand you’re writing about sport — not about nuclear secrets or political wrangling. To paraphrase Maradona, we’re not going to change the price of a loaf of bread. So, more and more, sport has become “we give the media quick soundbites and press releases and meaningless news conferences.” When OZ’s dismissal became official, I felt it was necessary to give some context. I appreciate the candid response, and with the content of the reply. Worst kept secret but not one journalist would write one word on…Sounds like the secret was indeed very well kept, with the complicity of the journalists (keen to stay in the good books of those in the know, perhaps). Ethical issue is right, but you may be taking the wrong approach. I’m not a journalist, but I do know that if someone tells you something off the record and doesn’t want you to print it, it’s your journalistic ethical duty to not report it. My issue, Kent, is that every single journalist (without exception) claims to have known. That doesn’t seem like “off the record” to me.